I finally got ahold of my brother’s PS3. Don’t worry, I was able to stop playing Metal Gear Solid 4 long enough to finish the comic. 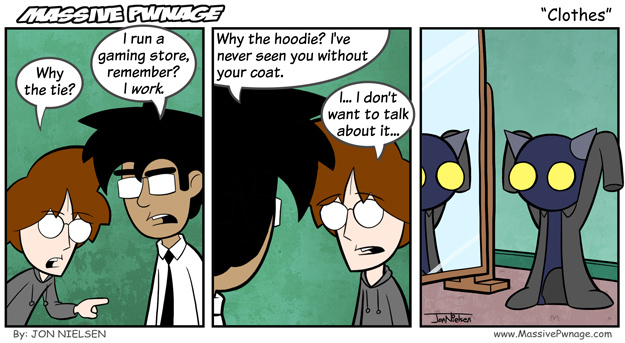 I think Ence is going to wear a hoodie all the time now. Just to change things up a bit. Locke is always going to have his work outfit on. He’s a workaholic. This entry was posted on Friday, November 21st, 2008 at 12:00 am and is filed under Comics. You can follow any responses to this entry through the RSS 2.0 feed. Both comments and pings are currently closed.